An athlete swims past the Sheringham Shoal Offshore Wind Farm off the coast of Norfolk, England. The wind farm consists of 88 Siemens 3.6 megawatt turbines placed over a 35-square kilometer area, 11 miles from shore. Wind energy is at the crest of initiatives to address global warming in the coming three decades. Investment in offshore wind was $29.9 billion in 2016, 40 percent greater than the prior year. 32 turbines—each double the height of the Statue of Liberty—have been installed off the coast of Liverpool, England. Owned by Lego, the toy maker, this is an international effort: The blades are made on the Isle of Wight by a Japanese company for its Danish client, Vestas. Each turbine generates 8 megawatts of electricity; together, they will supply all 466,000 inhabitants of Liverpool. The wind industry is marked by a proliferation of turbines, dropping costs, and heightened performance. In many locales, wind is either competitive with or less expensive than coal-generated electricity—and it has no fuel costs and no pollution. Yet, not-in-my-backyard sentiment remains an obstacle in many places. The variable nature of wind means there are times when turbines are not turning. Wind energy, like other sources of energy, is part of a system. Investment in 24-7 renewables such as geothermal, energy storage, transmission infrastructure, and distributed generation is essential to its growth. Impact: For offshore wind, growing from .1 percent to 4 percent could avoid 14.1 gigatons of emissions. At a combined cost of $1.8 trillion, wind turbines can deliver net savings of $8.2 trillion over three decades of operation. These are conservative estimates, however. Costs are falling annually and new technological improvements are already being installed, increasing capacity to generate more electricity at the same or lower cost. Liverpool…Burbo Bank Extension: Schwägerl, Christian. “Offshore Wind Energy is Booming in Europe.” Yale Environment 360. October 20, 2016. 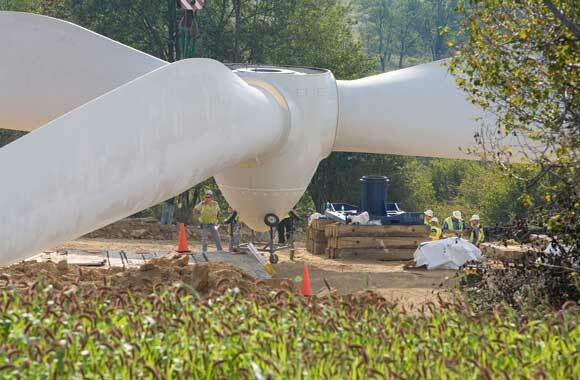 314,000 wind turbines supply…electricity: GWEC. “Wind in Numbers.” http://www.gwec.net/global-figures/wind-in-numbers/; REN21. Renewables 2016 Global Status Report. Paris: REN21 Secretariat, 2016. Investment in offshore wind: “Record $30bn year for Offshore Wind But Overall Investment Down.” Bloomberg New Energy Finance. January 12, 2017. [history of wind power]: Hills, Richard L. Power from Wind: A History of Windmill Technology. Cambridge, UK: Cambridge University Press, 1996.; “Timeline: The History of Wind Power.” The Guardian. October 17, 2008; DOE. “History of U.S. Wind Energy.” https://energy.gov/eere/wind/history-us-wind-energy. 2015…wind power [installations]: REN21, Renewables 2016. [U.S.] wind energy potential: Elliott, D.L., L.L. Wendell, and G.L. Gower. An Assessment of the Available Windy Land Area and Wind Energy Potential in the Contiguous United States. Washington, D.C.: U.S. Department of Energy, 1991.
fossil fuel…subsidies: Coady, David, Ian Parry, Louis Sears, and Baoping Shang. IMF Working Paper: How Large Are Global Energy Subsidies? Washington, D.C.: International Monetary Fund, 2015. Current costs; “lowest cost source”: Hensley, John. 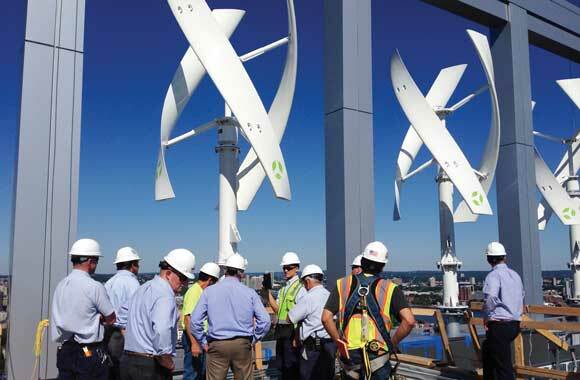 “New Reports Highlight Bright, Low-Cost Future of Wind.” Into the Wind—the AWEA (blog). August 18, 2016; Kooroshy, Jaakko, Brian Lee, Franklin Chow, Stefan Burgstaller, Justus Schirmacher, Daniela Costa, Michael Lapides, and Alberto Gandolfi. The Low Carbon Economy: Technology in the Driver’s Seat. The Goldman Sachs Group, Inc. November 28, 2016. Bloomberg New Energy Finance: Randall, Tom. “The World Nears Peak Fossil Fuels for Electricity.” Bloomberg. June 13, 2016. United States…capacity factors: WINDExchange. “Potential Wind Capacity.” http://apps2.eere.energy.gov/wind/windexchange/windmaps/resource_potential.asp. Today, 314,000 wind turbines supply 3.7 percent of global electricity. Caption: The wind farm consists of 88 Siemens 3.6-megawatt turbines placed over a 14-square-mile area, 11 miles from shore. In Germany in 2015, bottlenecks in the grid caused 4,100 gigawatt-hours of wind electricity to be wasted—enough energy to power 1.2 million homes for a year. An increase in onshore wind from 3 to 4 percent of world electricity use to 21.6 percent by 2050 could reduce emissions by 84.6 gigatons of carbon dioxide. At a combined cost of $1.8 trillion, wind turbines can deliver net savings of $8.2 trillion over three decades of operation. Project Drawdown defines wind turbines (offshore) as: offshore utility-scale wind power technologies. This solution replaces conventional electricity-generating technologies such as coal, oil, and natural gas power plants. Offshore wind solutions are increasingly being adopted where wind is less intermittent and the turbines can harvest more energy. The offshore placement increases construction and grid connection costs due to the more remote location, and requires increased investment to protect equipment from the ocean environment, but the capacity factors of offshore turbines are often higher than onshore turbines. Modifications include: upgrades to the support structure so it can withstand added loading from waves; pressurized nacelles; and environmental controls to prevent corrosive sea air from degrading electrical components. Since the amount of power generated by a wind turbine is primarily determined by its size and the intensity of the wind resources, offshore locations are a growing opportunity. By the end of 2015, there were an estimated 3.4 gigawatts of installed offshore wind systems connected to the grid, mainly in Europe and China. This analysis models offshore utility-scale wind power technologies. The total addressable market for wind turbines (offshore) is based on projected global electricity generation in terawatt-hours from 2020-2050, with current adoption  estimated at 0.11 percent (i.e. 25 terawatt-hours) of generation (IRENA, 2016b). Impacts of increased adoption of wind turbines (offshore) from 2020-2050 were generated based on three growth scenarios, which were assessed in comparison to a Reference Scenario where the solution’s market share was fixed at the current levels. Plausible Scenario: Based on the evaluation of six global energy systems models,  this scenario follows a high growth trajectory, capturing 4 percent of the electricity generation market share in 2050. Drawdown Scenario: This scenario follows a more aggressive adoption pathway aligned with the growth rate proposed by the Greenpeace [R]evolution Scenario, resulting in a 5.83 percent share of the market in 2050. Optimum Scenario: This scenario follows the Greenpeace Advanced Energy [R]evolution Scenario,  resulting in a 6.08 percent shares of the market in 2050. The financial inputs used in the model consider an average installation cost of US$3,940 per kilowatt,  with a learning rate of 15.9 percent, resulting in first costs of US$2,018 per kilowatt in 2030 and US$1,441 per kilowatt in 2050 (Hayward and Graham, 2013). An average capacity factor of 34 percent is used for offshore wind turbines, compared to 55 percent for conventional technologies such as coal, natural gas, and oil power plants. Variable operation and maintenance costs of US$0.073 per kilowatt-hour are considered for offshore wind, compared to US$0.005 per kilowatt-hour for the conventional technologies. Through the process of integrating wind turbines (offshore) with other solutions, the total addressable market for electricity generation technologies was adjusted to account for reduced demand resulting from the growth of more energy-efficient technologies,  as well as increased electrification from other solutions like electric vehicles and high-speed rail. Grid emissions factors were calculated based on the annual mix of different electricity generating technologies over time. Emissions factors for each technology were determined through a meta-analysis of multiple sources, accounting for direct and indirect emissions. The results for the Plausible Scenario show that the net cost compared to the Reference Scenario would be US$572.4 billion from 2020-50, and around US$274.57 billion in savings over the same period. Increasing the use of offshore wind from about 0.11 percent in 2014 to 4 percent of world electricity generation by 2050 would require an estimated US$1,359.8 billon in cumulative first costs. Under the Plausible Scenario, offshore wind turbines could reduce 14.1 gigatons of carbon dioxide-equivalent greenhouse gas emissions from 2020-2050. Both the Drawdown and Optimum Scenarios are more ambitious in the growth of offshore wind technologies, with impacts on greenhouse gas emission reductions over 2020-2050 of 16 gigatons carbon dioxide-equivalent and 19.7 gigatons carbon dioxide-equivalent, respectively. Our projections consider that much of the growth in offshore wind will take place in China, where costs will likely be lower. The results of the Plausible Scenario are more ambitious than those of the 2°C Scenario of IEA ETP (2016), which estimates the growth of offshore wind to reach 3.1 percent of the market in 2050. Compared to the Greenpeace Energy [R]evolution Scenario, however, our results for adoption are nearly half, with electricity generated from offshore wind turbines representing up to 8 percent of the market in 2050 (Greenpeace, 2015). Wind power plays a large and essential role in any long-term projections toward a low-carbon future: wind has large megawatt capability, is globally available, and the output of wind and solar is complementary in many regions of the world. As a renewable resource, wind does not require mining or drilling for fuel, and its costs are therefore not susceptible to fluctuations in fossil fuel prices. The growth of offshore wind could be aided by renewable energy and portfolio standards that mandate a certain level of renewable use. Wind developers could also benefit from regulatory stability, such as feed-in-tariffs that guarantee a certain rate of return on wind energy, and tax incentives that encourage investment in low-carbon projects like wind by helping offset development costs. Public research and development, particularly for this immature technology, can also help decrease costs. Technology knowledge transfer could help spread wind power across borders. For more about the Total Addressable Market for the Energy Sector, click the Sector Summary: Energy link below. Current adoption is defined as the amount of functional demand supplied by the solution in the base year of study. This study uses 2014 as the base year due to the availability of global adoption data for all Project Drawdown solutions evaluated. To learn more about Project Drawdown’s three growth scenarios, click the Scenarios link below. For information on Energy Sector-specific scenarios, click the Sector Summary: Energy link. GEM-E3 450 Scenario; MESSAGE-Macro 450 Scenario; IMAGE-Timer 450 Scenario (AMPERE, 2014); IEA ETP 2C Scenario (2016); Greenpeace Energy [R]evolution Scenario (2015) and Advanced Energy [Revolution] Scenario from the Greenpeace Wind Outlook (2014). It represents an ambitious pathway towards a fully decarbonized energy system in 2050, with significant additional efforts compared to the Energy [R]evolution scenario. 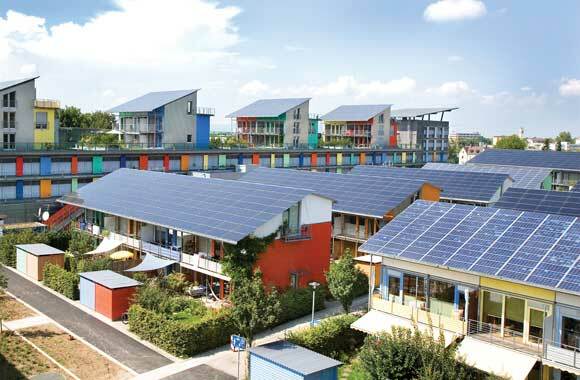 The Advanced Energy [R]evolution Scenario needs strong efforts to transform the energy systems of all world regions toward a 100 percent renewable energy supply. All monetary values are presented in US2014$. For more on Project Drawdown’s Energy Sector integration model, click the Sector Summary: Energy link below. For example: LED lighting and heat pumps. With capacity of 100 kilowatts or less, micro wind turbines are often used to pump water, charge batteries, and provide electrification in rural locations. Concentrated solar power uses solar radiation as its primary fuel. Arrays of mirrors concentrate incoming rays to heat a fluid, produce steam, and turn turbines. Biomass energy is a “bridge” solution for transitioning to 100 percent clean, renewable energy. 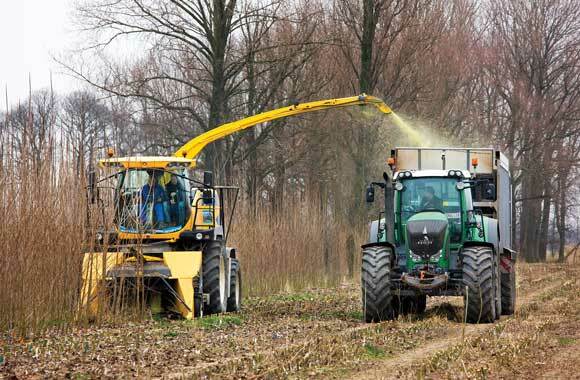 Using sustainable feedstock—waste biomass or perennial crops—is crucial. Proliferation of turbines, dropping costs, and heightened performance mean onshore wind farms are at the forefront of initiatives to address global warming.